We’re delighted to announce the opening event for Cross Lane Projects – a new art space in Kendal founded by Cumbria-born artist Rebecca Scott and her husband Mark Woods, a sculptor. 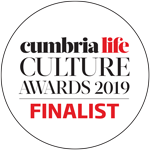 The pair have established Cross Lane Projects with the aim of bringing new contemporary art and debate to Cumbria and will present a curated programme featuring the work of local, international and British artists. The space will present a regularly changing programme of two exhibitions of contemporary art each year, accompanied by public talks and discussion events. Scott and Woods have created Cross Lane Projects in a former Kendal Mint Cake factory in central Kendal. 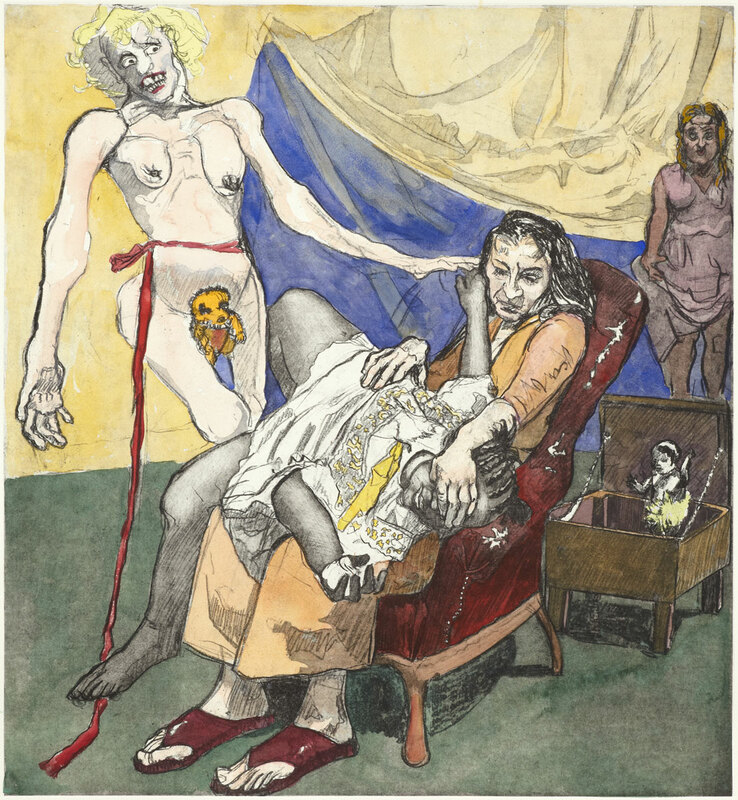 Paula Rego, Lullaby, 2009. Hand-coloured etching, from the collection of Paupers Press. Copyright the artist. 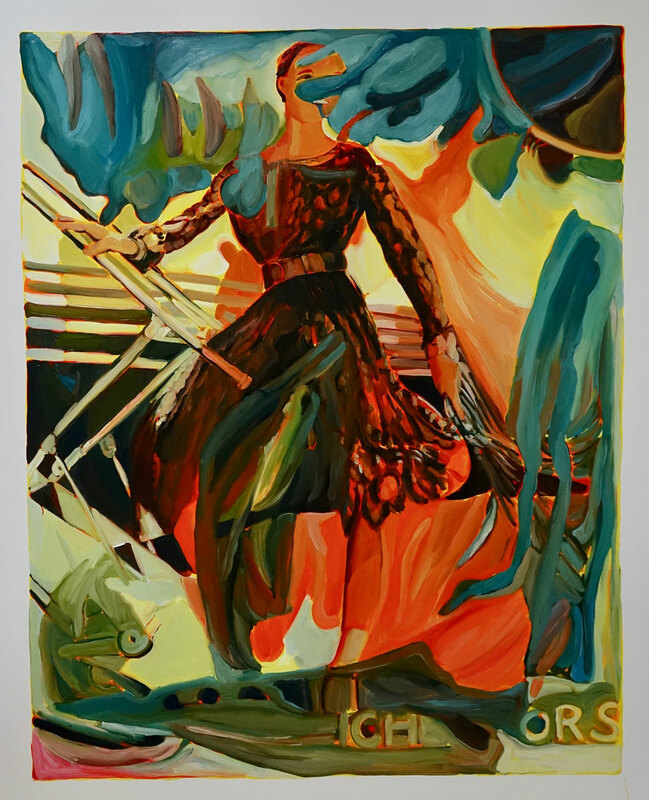 Rebecca Scott, Days of Glamour, 2017. Oil on canvas. Copyright the artist.